Drinking milk will keep you strong, right? Not so fast. While there is some debate as to whether dairy is inflammatory in the body, that may not be the biggest issue. It’s the ingredients that are unlisted that you may want to worry about. It turns out that Parkinson’s, a degeneration of motor neurons in the brain, may be more diet-related than previously thought. In fact, a recent study published in Neurology suggests a significant correlation between pesticide-contaminated milk consumption and neurodegeneration. The research has shown that pesticides in our food supply — milk particularly — may accumulate in the brain, and over time, lead to Parkinson’s. By investigating a Hawaiian mishap from the 1980s, these researchers have come very close to connecting a certain pesticide — in the class of pesticides known as organochlorines — to the thinning of nerve networks that signals compromised brain function. The team studied 449 brains of Japanese-American men who had agreed to participate in a heart disease study at the time and donated their organs to research once they passed. They provided detailed dietary information, including how much milk they consumed, throughout the span of mid-life to death. When researchers looked over and processed this data, it became clear that those who drank more than 2 glasses a day (16 ounces) of milk had more network thinning as well as pesticide accumulation than those who consumed less milk. It should be known that, although researchers have no milk samples from the 80s, there was a widespread incident at that time in which cows were being fed a meal that contained parts of pineapples high in pesticides. It was well-documented that the cow’s milk was contaminated with residue of organochloride pesticides — specifically heptachlor epoxide, which is highly toxic and no longer used, according to the EPA. However, organochlorine pesticides continue to be found in quantities in human breast milk, as well as fat tissue. With this new research, no one is saying to ditch dairy completely — the world practically runs on cheese. However, for those of you who are able to consume dairy, a quality organic brand is certainly the best choice. While pesticides persist in the soil decades after they’re applied and are nearly ubiquitous in our general food supply, limiting your overall pesticide exposure is a good step to take towards a healthier life. I was around 58 when my thumb started giving me problems. As time passed i had other symptoms; hand tremors, restless sleep, muscle weakness, cognitive decline, voice spasm, stiff achy right arm and ankle. At 60 i was diagnose of PARKINSONS DISEASE, i was on Carbidopa and Pramipexole for two years, they helped alot but not for long. As the disease progressed my symptoms worsened, with my neurologist guidance i started on natural alternative PARKINSONS DISEASE treatment from R.H.F. (Rich Herbs Foundation), the treatment worked very effectively, my severe symptoms simply vanished, i feel better now than I have ever felt and i can feel my strength again. My neurologist was very open when looking at alternative medicines and procedures, this alternative parkinson disease treatment is a breakthrough. Never heard---if that were true...the doctors had found it long time ago. 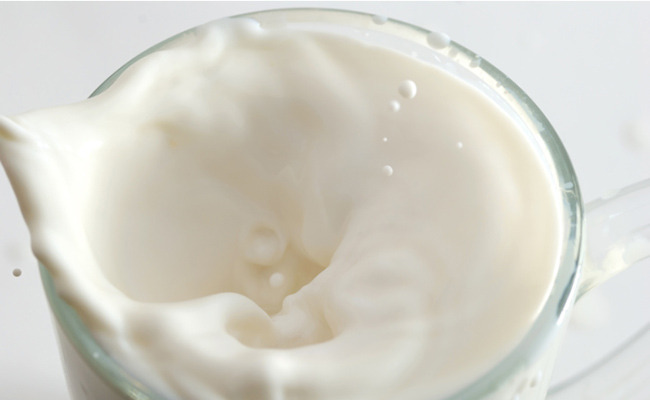 Many do not realize that milk and dairy is not necessarily healthy. So yes, maybe it provides calcium, but bacon provides protein and no one goes around telling you how healthy bacon is do they? Milk is created by animals to be drunken by their young until they are old enough to eat real, solid food. Never would an adult drink a human's milk, so what is the difference? Also, many studies have shown that the acidity of milk actually leeches calcium from bones, so while milk contains calcium, it is never absorbed by the body! Intense lobbying from the dairy industry has made sure that important facts about milk stay hidden from consumers, so that the dairy industry can keep stealing money from the oblivious masses. "...no one is saying to ditch dairy completely â the world practically runs on cheese"
What stupidity is that? Dairy is bad for those that drink it (even organic) destroying the Earth, and causing immense suffering for animals. Stick with dairy if you care less or drop the dairy AND cheese. A study conducted by Dr. Honlei Chen and his colleagues at the Harvard School of Public Health suggest that inflammation plays an important role in the development of Parkinsonâs disease. Inflammatory processes also appear in the development of Alzheimerâs disease. Therefore, foods that have an anti-inflammatory play an important role in the prevention of brain disease and maintenance of a healthy brain. Where there is inflammation, there is often pain. If youâre suffering from joint or muscle pain you will likely experience a reduction in pain since gingerols in ginger are also powerful anti-pain compounds.